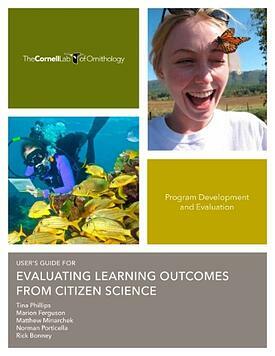 Ready to start evaluating your citizen science project? This new guide is packed with evaluation techniques, tips, and best-practices. You'll find worksheets and templates to help you assess your project's outcomes and create an evaluation plan. Before downloading the User's Guide, please take a moment to fill out this brief form. Please allow a minute or two for this large file to download. If you are experiencing problems, try using a different browser.